Huge, broad loop/cavities(?) with two structured interior (prominence) loops/cavities appearing nearly simultaneously at widely different locations. Deflections north of event. Southern structured loop/cavity is surrounded by fuzzy, concentric loops/cavities. 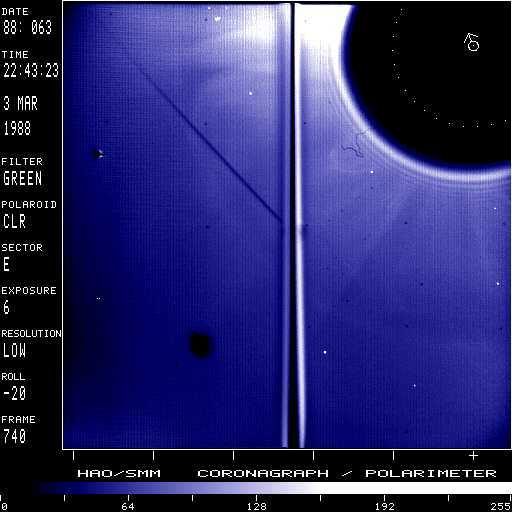 Solar north is toward the upper left as indicated by the arrow drawn into the occulting disk; the dotted circle marks the solar photosphere.